Under microaerophilic conditions Salmonella typhimurium LT2 synthesizes cobalamin, during which 5,6-dimethylbenzimidazole is formed from riboflavin. 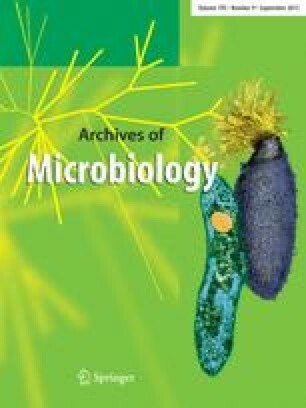 We report here that in an anoxic environment S. typhimurium did not form cobalamin, but rather adenylcobamide, 2-methyladenylcobamide, and cobyric acid. This indicated that S. typhimurium, like other microorganisms that synthesize 5,6-dimethylbenzimidazole from riboflavin, requires oxygen for the formation of the cobalamin base.